This made me smile. 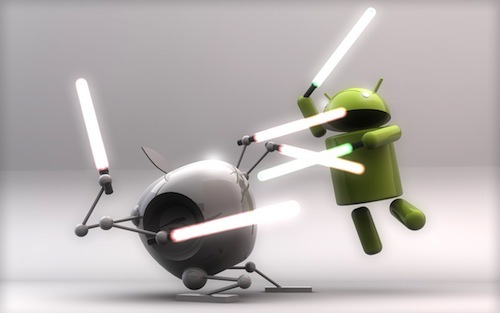 Apple and Android locked in a deadly lightsabre duel for dominance of the mobile space. Darth Mac! Surely a mistake?